Twenty-four lactating and 13 nonlactating Alpine goats were used to determine effects of stage of lactation and dietary concentrate level on energy utilization. Diets 60 or 20% concentrate (60%C and 20%C, respectively) were consumed ad libitum by lactating animals and at a level of intake near maintenance by nonlactating animals. Measurement periods were d 25 to 31 (E), 87 to 94 (M), and 176 to 183 (L) of lactation. The number of observations was 11 in E and M for each diet and 8 and 7 in L for 60%C and 20%C, respectively. Efficiency of ME use for maintenance (66.9, 71.4, and 61.1%) and the maintenance ME requirement (479, 449, and 521 kJ/kg BW0.75 for E, M, and L, respectively) determined with nonlactating animals differed among stages of lactation. The efficiency of ME use for maintenance was similar between diets, but the maintenance requirement tended to be greater for 60%C than for 20%C (504 vs. 463 kJ/kg BW0.75). The latter difference may have involved greater ME intake for 60%C, resulting in a slightly greater difference between ME intake and total heat energy for 60%C vs. 20%C (11 vs. -8 kJ/kg BW0.75). Intake of ME by lactating goats was greater for 60%C than for 20%C (18.6 vs. 16.3 MJ/d). Recovered energy in lactation from mobilized tissue tended to be greater for 60%C than for 20%C (8.44 vs. 6.55 MJ/d) and differed among stages of lactation (2.60, 1.59, and 1.13 MJ/d in E, M, and L, respectively). Recovered energy in tissue gain was similar among stages of lactation and between diets and not different from 0. Efficiency of use of dietary ME for lactation differed among stages of lactation (59.5, 51.9, and 65.4% for E, M, and L, respectively) and tended to be greater for 60%C than for 20%C (64.2 vs. 54.9%). The efficiency of use of dietary ME for maintenance and lactation was similar among stages of lactation and greater for 60%C vs. 20%C (64.3 vs. 60.9%). Predicted milk yield from National Research Council requirements was reasonably accurate. In conclusion, there may be limitations in use of data of nonlactating goats to study energy utilization for maintenance in lactation. Efficiency of energy use by lactating dairy goats consuming diets high in concentrate appears greater than with diets low in concentrate. 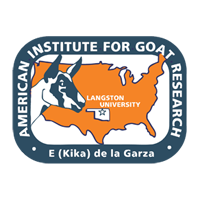 Despite differences in nutrient requirement expressions, observations of this study support National Research Council recommendations of energy requirements of lactating dairy goats.